We are pleased to present the inaugural episode of The Interruption, a podcast hosted by Sean Cranbury and a 49th Shelf–Books on the Radio collaboration. In The Interruption, Sean interviews Canadian writers about the surprising things that inform, inspire, and even interrupt their creative process. Sean Cranbury is a writer, media maker, literary event organizer, and itinerant mixologist living and working in east Vancouver. He is the creator and host of Books on the Radio, co-Creative Director of the Real Vancouver Writers' Series, and curator of Storm Crow Reading Series. He's also a former independent bookseller, and managing editor for House of Parlance Media; indie publisher of spoken word poetry and manga. Today Sean interrupts Jordan Abel, a Nisga'a writer living in Vancouver. Abel’s chapbooks have been published by JackPine Press and Above/Ground Press, and his work has appeared in numerous magazines and journals across Canada, including Prairie Fire, EVENT, dANDelion, ARC, CV2, The Capilano Review, Descant, Grain, and Canadian Literature. He is an editor for Poetry Is Dead magazine and the former editor for PRISM international and Geist. Currently, he is an instructor in the Continuing Studies department at Simon Fraser University and an English instructor at the Nicola Valley Institute of Technology. 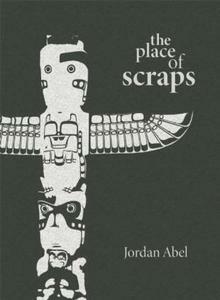 Abel’s first book, The Place of Scraps, was published by Talonbooks. The first segment is the interview, while in the second, Abel reads from The Place of Scraps.